Moves to target dog fouling in a Lincolnshire village are being boosted with extra waste bins and information to tackle the nuisance. The project is being supported by a £283 Ward Member Grant from South Kesteven District Councillor and Cabinet Member, Cllr Nick Robins. It comes after a parish survey of Kirkby Underwood found 58% of residents considered dog fouling a negative feature of the village. The survey asked residents what they thought about where they live - and what the council should do next. Cllr Robins, who chose the project for a donation, said: "Coming from a rural village community this is a personal bug-bear of mine - and for the majority of residents. Local people highlighted dog fouling as blighting the area in which they live, and I couldn't agree more. "I was a driving force behind the work to introduce environmental enforcement officers to cover the district and local initiatives like this are very welcome." Parish Council Chairman Jackie Kenwood said: "Dog fouling came back as one of the negative features for people living here. 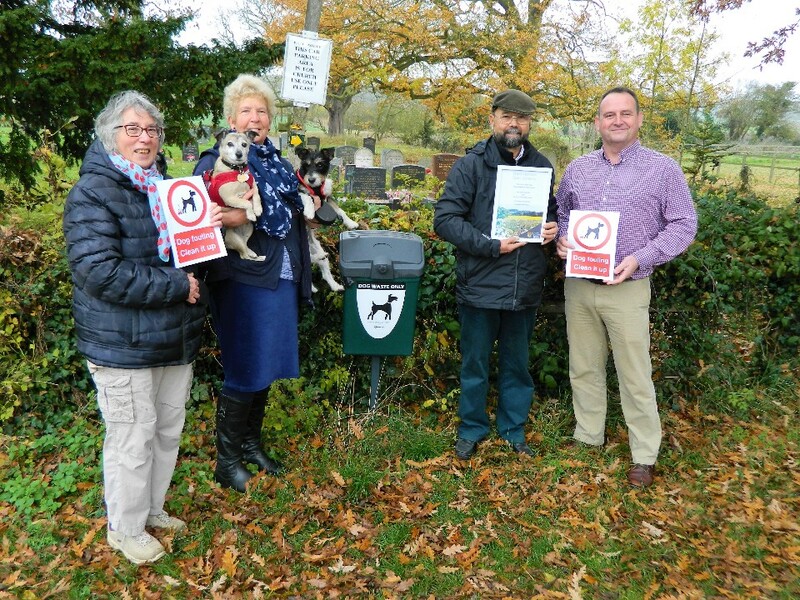 "We only have one dog waste bin and although it is clearly marked and accessible, some people can't even manage to bag their dog mess - or even take bags out with them. "It's only a small community of 80 households but it does upset people. We're hoping what we do will appeal to people's better nature and they can change their habits." The new bins and warning signs are expected to be in place this month. Picture caption: Parish Council Vice Chairman Jenni Ashwood, Parish Council Chairman Jacky Kenwood (holding Bramble and Milly), Parish councillor Brent Pottle and SKDC's Cllr Nick Robins.